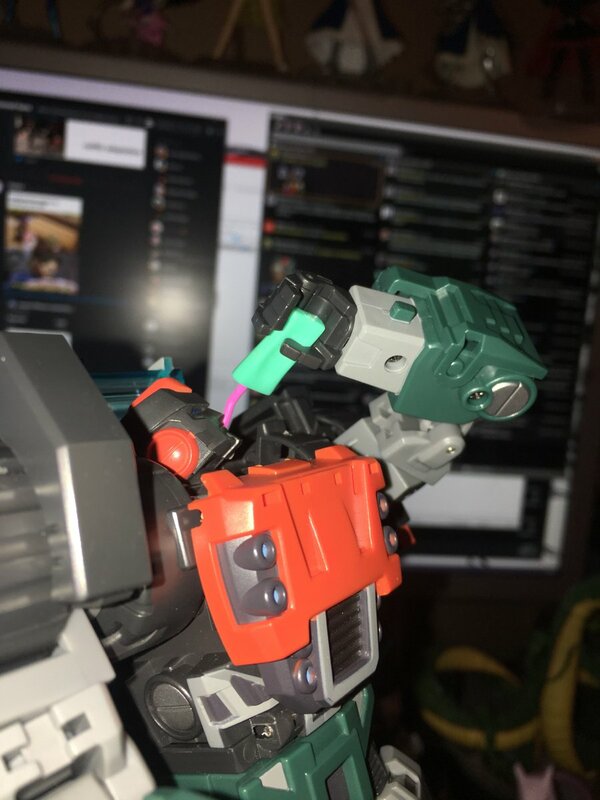 To provide a super quickie history course… Paddles is the sixth Dinobot. From a UK short story collection. Who turns into, well, not Champ. Not Nessie. But OGO. POGO. A Plesiosaur. Or, should I say, Masterpiece Akane Shinjo. This next Kaiju’s gonna light our darkest hour! This was one of those figures I had no interest in, really. And then within an episode of Studio TRIGGER’s “SSSS Gridman” premiering, everyone realized that virtually all the characters in the cast were stealth Transformers homages – mostly of the Shattered Glass variety. And the main antagonist, who was awesome in her own right (seriously, what a fantastically realized character) was SG Optimus Prime. So I kinda decided I wanted to use this site for more things this year given I never use it. Actually create some content and the like. 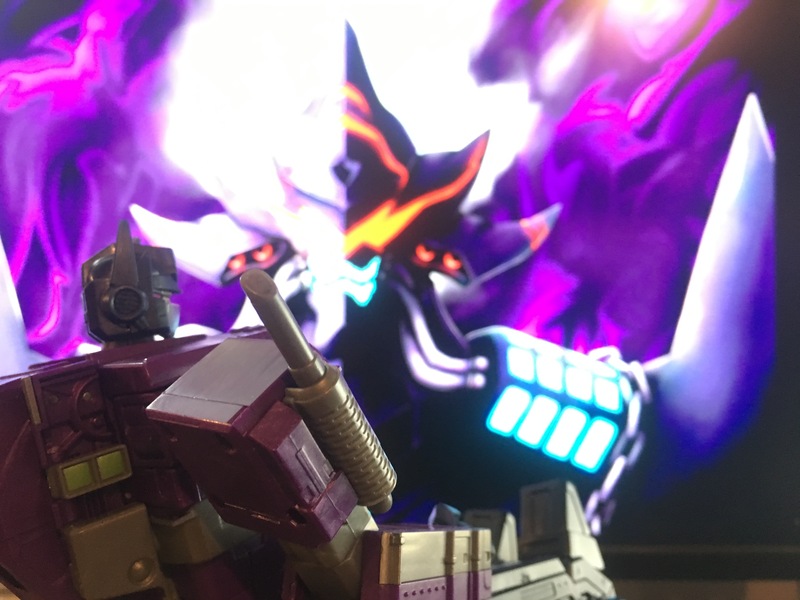 So with that said, “Toy Review Crap” is gonna be a new feature – basically me doing quickie text reviews of things I got, using whatever photos I randomly took for fun on Twitter or something with my phone. And first up, we have a big one – the (currently) final retool/redeco of Mastermind Creations’ Kultur mold – Cylindrus. Or, in actual character names, Roller from the Roberts/Milne/Lawrence MTMTE/Lost Light series at IDW. Five things plus an honorable mention of “something that’s not on the top 5 but deserves to be brought up all the same” are going to apply for each list.